Children Choice Publication Pvt. 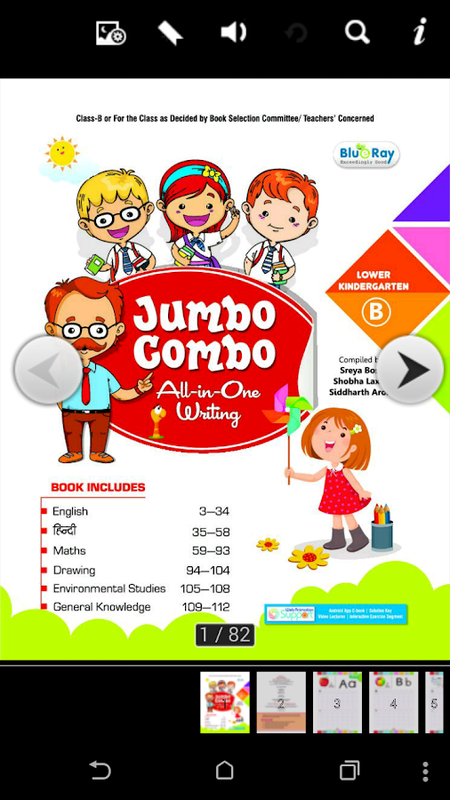 Ltd.
Jumbo Combo Writing – B aims to improve the writing anddrawingskills of students. This book covers the subjects likeEnglish,Hindi, Mathematics and Drawings. In today’s era, educationhasbecome advanced. Here is a package of Blueray e-books whichisfully loaded with advanced study tools to enhance theknowledge,skills and learning ability of a child. Features of theBlueraye-books are detailed below: 1. Flipbook: If you are facingproblemsin interaction with e-books, Flipbook feature unites theease ofinteraction with the efficiency and increased value offeredintoday’s era of e-reading technology. 2.Magnificationin/Magnification out: When you want to get closer totheinteractive content, Magnification in/Magnification outoptionhelps you to get a closer look at a high-quality imagethatdeserves a more detailed and deep study. 3. Search andfind:When you want to look at some important words inside thecontent,Search and find option helps you to steer straight to thedesiredwords. 4. Bookmark: When you want to add some interestingpart as abookmark, Bookmark feature allows you to add a bookmarkand alsoyou can jump to specific bookmarks. 5. Thumbnails: When youwant tosee every larger image at an instant click without openingit,Thumbnails feature reflects a small image of a larger image,thusmake it easier and quicker to look and manage a group oflargeimages. Aradhya Swar is combined with best techniques from proven languageteaching. This book is containing the chapters like Varnmala, DoAkshar Wale Shabd, Teen Akshar Wale Shabd, Char Akshar Wale Shabd,Matrao Ka Gyan, etc. Some beautiful poems like Tamatar, Picnic,Titli, Bulbul, etc has also been included to make the leaning morefun and interesting. In today’s era, education has become advanced.Here is a package of Blueray e-books which is fully loaded withadvanced study tools to enhance the knowledge, skills and learningability of a child. 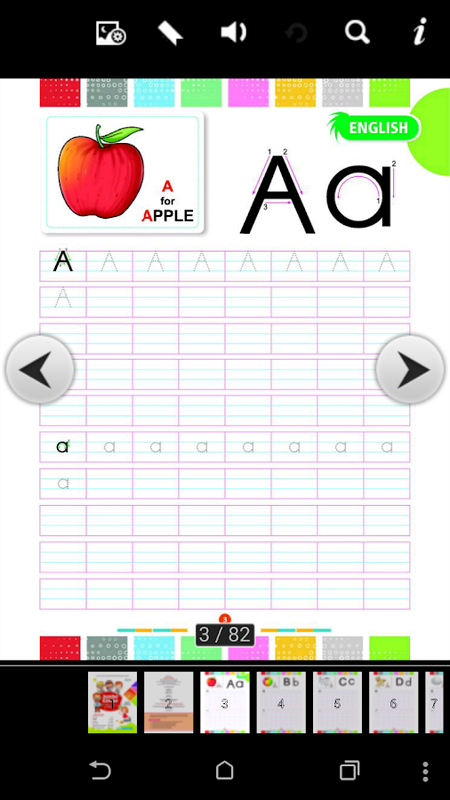 Features of the Blueray e-books are detailedbelow:1. Flipbook: If you are facing problems in interaction withe-books, Flipbook feature unites the ease of interaction with theefficiency and increased value offered in today’s era of e-readingtechnology.2. Magnification in/Magnification out: When you want toget closer to the interactive content, Magnificationin/Magnification out option helps you to get a closer look at ahigh-quality image that deserves a more detailed and deepstudy. 3. Search and find: When you want to look at someimportant words inside the content, Search and find option helpsyou to steer straight to the desired words.4. Bookmark: When youwant to add some interesting part as a bookmark, Bookmark featureallows you to add a bookmark and also you can jump to specificbookmarks.5. Thumbnails: When you want to see every larger image atan instant click without pening it, Thumbnails feature reflects asmall image of a larger image, thus make it easier and quicker tolook and manage a group of large images. 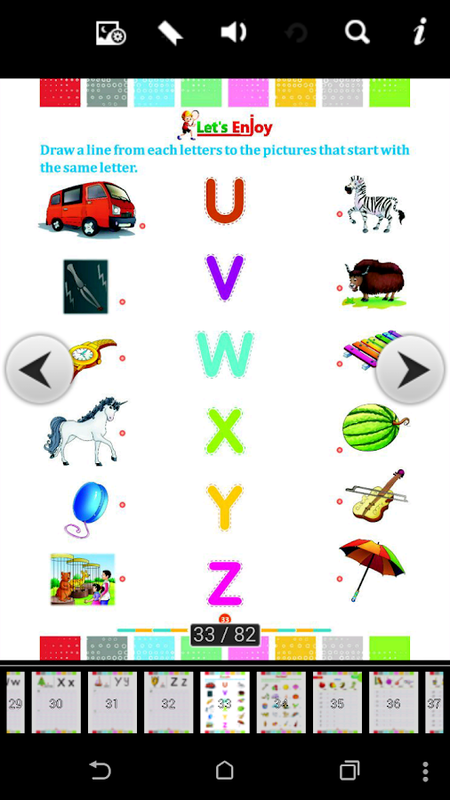 Aradhya Vyakaran-8 is designed to help learners improving theirHindi grammar. Aradhya Vyakaran-8 follows the latest syllabusprescribed by Educational Boards of India. The book containschapters like Bhasha Aur Vyakaran, Varn-Vichar, Shabd-Vichar,Upsarg v Pratyay, Samas, etc for enhancement of Hindi grammar andsome chapters like Rachna Ke Vibbhinn Roop, Samwad-Lekhan, etc forenhancement of Hindi composition.In today’s era, education hasbecome advanced. Here is a package of Blueray e-books which isfully loaded with advanced study tools to enhance the knowledge,skills and learning ability of a child. Features of the Blueraye-books are detailed below:1. Flipbook: If you are facing problemsin interaction with e-books, Flipbook feature unites the ease ofinteraction with the efficiency and increased value offered intoday’s era of e-reading technology.2. Magnificationin/Magnification out: When you want to get closer to theinteractive content, Magnification in/Magnification out optionhelps you to get a closer look at a high-quality image thatdeserves a more detailed and deep study. 3. Search and find:When you want to look at some important words inside the content,Search and find option helps you to steer straight to the desiredwords.4. Bookmark: When you want to add some interesting part as abookmark, Bookmark feature allows you to add a bookmark and alsoyou can jump to specific bookmarks.5. Thumbnails: When you want tosee every larger image at an instant click without pening it,Thumbnails feature reflects a small image of a larger image, thusmake it easier and quicker to look and manage a group of largeimages. Peace and Harmony with Yoga 8 is all about developing life skillsand values among children. The book is covering some interestingmoral stories like Angel and fairy, Jasmine’s Lucky Day, Sky andJosef, Juan, the Blind Man, Madam Rides the Bus, etc and somephysical fitness related chapters like Asanas and Exercises, AdhoMukha Svanasana, Bhujangasana, etc.In today’s era, education hasbecome advanced. Here is a package of Blueray e-books which isfully loaded with advanced study tools to enhance the knowledge,skills and learning ability of a child. Features of the Blueraye-books are detailed below:1. Flipbook: If you are facing problemsin interaction with e-books, Flipbook feature unites the ease ofinteraction with the efficiency and increased value offered intoday’s era of e-reading technology.2. Magnificationin/Magnification out: When you want to get closer to theinteractive content, Magnification in/Magnification out optionhelps you to get a closer look at a high-quality image thatdeserves a more detailed and deep study. 3. Search and find:When you want to look at some important words inside the content,Search and find option helps you to steer straight to the desiredwords.4. Bookmark: When you want to add some interesting part as abookmark, Bookmark feature allows you to add a bookmark and alsoyou can jump to specific bookmarks.5. Thumbnails: When you want tosee every larger image at an instant click without opening it,Thumbnails feature reflects a small image of a larger image, thusmake it easier and quicker to look and manage a group of largeimages. Mathematics is an integral part of human life. Keeping that inmind, we have launched Count on Tips-7 which follows the latestsyllabus prescribed by Educational Boards of India. Book includesthe chapters like Introduction to Rational Numbers, Exponents,Powers and Radicals, Comparing Quantities, Algebraic Expressions,Equations, Introduction to Linear Graphs, etc. In today’s era,education has become advanced. Here is a package of Blueray e-bookswhich is fully loaded with advanced study tools to enhance theknowledge, skills and learning ability of a child. Features of theBlueray e-books are detailed below:1. Flipbook: If you are facingproblems in interaction with e-books, Flipbook feature unites theease of interaction with the efficiency and increased value offeredin today’s era of e-reading technology.2. Magnificationin/Magnification out: When you want to get closer to theinteractive content, Magnification in/Magnification out optionhelps you to get a closer look at a high-quality image thatdeserves a more detailed and deep study. 3. Search and find:When you want to look at some important words inside the content,Search and find option helps you to steer straight to the desiredwords.4. Bookmark: When you want to add some interesting part as abookmark, Bookmark feature allows you to add a bookmark and alsoyou can jump to specific bookmarks.5. Thumbnails: When you want tosee every larger image at an instant click without opening it,Thumbnails feature reflects a small image of a larger image, thusmake it easier and quicker to look and manage a group of largeimages. 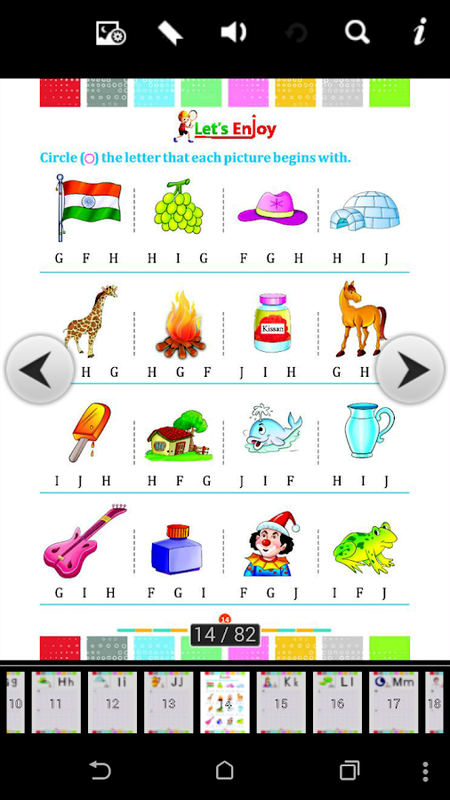 Aradhya Vyakaran-4 is designed to help learners improving theirHindi grammar. Aradhya Vyakaran-4 follows the latest syllabusprescribed by Educational Boards of India. The book containschapters like Bhasha Aur Vyakaran, Varn-Vichar, Shabd-Vichar,Shabd-Bandhar, Sanghya, etc for enhancement of Hindi grammar andsome chapters like Samvaad Lekhan, Aadesh/Suchna, etc forenhancement of Hindi composition.In today’s era, education hasbecome advanced. Here is a package of Blueray e-books which isfully loaded with advanced study tools to enhance the knowledge,skills and learning ability of a child. Features of the Blueraye-books are detailed below:1. Flipbook: If you are facing problemsin interaction with e-books, Flipbook feature unites the ease ofinteraction with the efficiency and increased value offered intoday’s era of e-reading technology.2. Magnificationin/Magnification out: When you want to get closer to theinteractive content, Magnification in/Magnification out optionhelps you to get a closer look at a high-quality image thatdeserves a more detailed and deep study. 3. Search and find:When you want to look at some important words inside the content,Search and find option helps you to steer straight to the desiredwords.4. Bookmark: When you want to add some interesting part as abookmark, Bookmark feature allows you to add a bookmark and alsoyou can jump to specific bookmarks.5. Thumbnails: When you want tosee every larger image at an instant click without pening it,Thumbnails feature reflects a small image of a larger image, thusmake it easier and quicker to look and manage a group of largeimages. Glittering English Grammar -4 is designed to help learnersimproving their grammar. The book is covering the chapters likeparts of speech (noun, pronoun, etc), synonyms and antonyms,animals and their young ones, animals and their shelter, animalsand their sound, reading and writing skills including essaywriting, message writing, comprehension, etc.In today’s era,education has become advanced. Here is a package of Blueray e-bookswhich is fully loaded with advanced study tools to enhance theknowledge, skills and learning ability of a child. Features of theBlueray e-books are detailed below:1. Flipbook: If you are facingproblems in interaction with e-books, Flipbook feature unites theease of interaction with the efficiency and increased value offeredin today’s era of e-reading technology.2. Magnificationin/Magnification out: When you want to get closer to theinteractive content, Magnification in/Magnification out optionhelps you to get a closer look at a high-quality image thatdeserves a more detailed and deep study. 3. Search and find:When you want to look at some important words inside the content,Search and find option helps you to steer straight to the desiredwords.4. Bookmark: When you want to add some interesting part as abookmark, Bookmark feature allows you to add a bookmark and alsoyou can jump to specific bookmarks.5. Thumbnails: When you want tosee every larger image at an instant click without opening it,Thumbnails feature reflects a small image of a larger image, thusmake it easier and quicker to look and manage a group of largeimages. Glittering English -3 is combined with best techniques from provenlanguage teaching. The book is containing some beautiful poems likeFarmer, Miller and Baker, Be the Best of Whatever You Are, etc.Some motivational stories like Fruit of Hard Work, A Lesson, etc.Some moral stories like Never Be Greedy, The Noblest Deed etc.Further, each lesson is illustrated in a colourful, child-friendlyformat to reinforce the concepts learned. In today’s era, educationhas become advanced. Here is a package of Blueray e-books which isfully loaded with advanced study tools to enhance the knowledge,skills and learning ability of a child. Features of the Blueraye-books are detailed below:1. Flipbook: If you are facing problemsin interaction with e-books, Flipbook feature unites the ease ofinteraction with the efficiency and increased value offered intoday’s era of e-reading technology.2. Magnificationin/Magnification out: When you want to get closer to theinteractive content, Magnification in/Magnification out optionhelps you to get a closer look at a high-quality image thatdeserves a more detailed and deep study. 3. Search and find:When you want to look at some important words inside the content,Search and find option helps you to steer straight to the desiredwords.4. Bookmark: When you want to add some interesting part as abookmark, Bookmark feature allows you to add a bookmark and alsoyou can jump to specific bookmarks.5. Thumbnails: When you want tosee every larger image at an instant click without opening it,Thumbnails feature reflects a small image of a larger image, thusmake it easier and quicker to look and manage a group of largeimages. World Culture-8 is the study of history, people and society. Thisbook covers the various aspects and branches of the study of humansociety, considered as an educational discipline. This book iscontaining three sections i.e., History, Geography and Civics. Thechapters which are included in this book are History of the ModernYoga, The Rise and the Growth of the British Power (History),etc.Our Universe and the Solar System, Weather and Climate (Geography),etc. The Indian Constitution, Parliamentary Government of India(Civics), etc.In today’s era, education has become advanced. Hereis a package of Blueray e-books which is fully loaded with advancedstudy tools to enhance the knowledge, skills and learning abilityof a child. Features of the Blueray e-books are detailed below:1.Flipbook: If you are facing problems in interaction with e-books,Flipbook feature unites the ease of interaction with the efficiencyand increased value offered in today’s era of e-readingtechnology.2. Magnification in/Magnification out: When you want toget closer to the interactive content, Magnificationin/Magnification out option helps you to get a closer look at ahigh-quality image that deserves a more detailed and deepstudy. 3. Search and find: When you want to look at someimportant words inside the content, Search and find option helpsyou to steer straight to the desired words.4. Bookmark: When youwant to add some interesting part as a bookmark, Bookmark featureallows you to add a bookmark and also you can jump to specificbookmarks.5. Thumbnails: When you want to see every larger image atan instant click without opening it, Thumbnails feature reflects asmall image of a larger image, thus make it easier and quicker tolook and manage a group of large images.